Greetings! 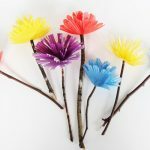 It’s Megan from Homemade Ginger and I’m back with another easy craft just in time for Valentine’s Day! 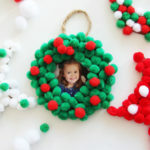 This one is so easy to put together and the kids can help! Valentine’s day is the holiday that always sneaks up on me. It seems like the older I get, the closer Valentine’s day is to Christmas. I usually don’t do much because I’ve just caught my breath from the crazy holidays! Last year I made some copper wire heart photo holders and that was about it. And yes, even as a craft blogger, I have purchased Valentine’s for my girls for the past three years instead of making something cute and DIY! This year, I’m determined to be a little more on top of things. I found these candy arrows on Pinterest and decided to tweak things a bit to make them super easy to put together. 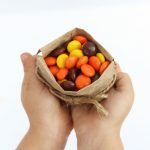 My girls will love giving these out at school and I’m sure they will be a big hit with their classmates! Attach a cute tag or even a store bought Valentine to it and you are good to go! 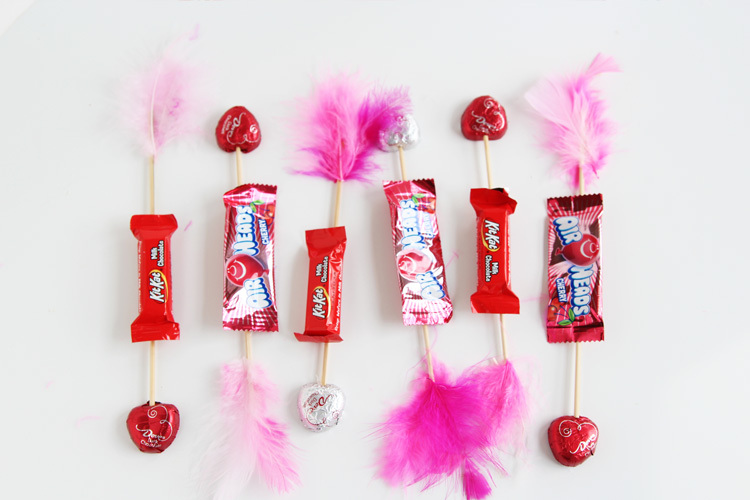 The fun thing about these candy arrows is that they are so versatile. 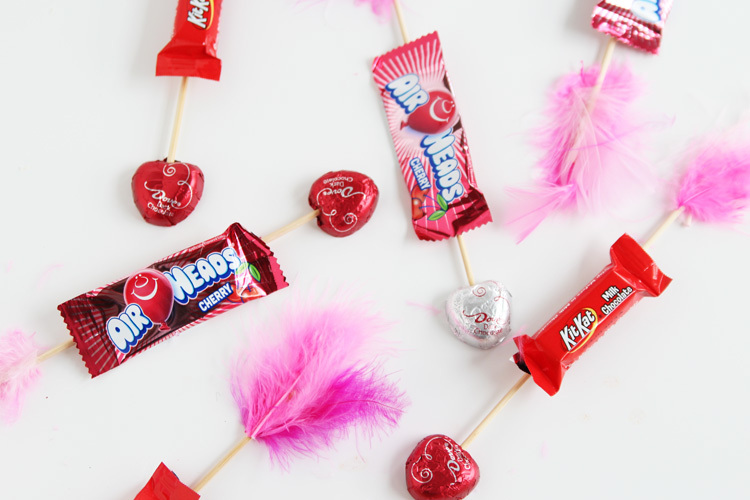 You can experiment with lots of different types of candy. Really, all you need is something long and skinny to tape onto the skewer. I think a heart shaped candy looks best for the end but you could try something else such as a Hershey’s kiss instead. 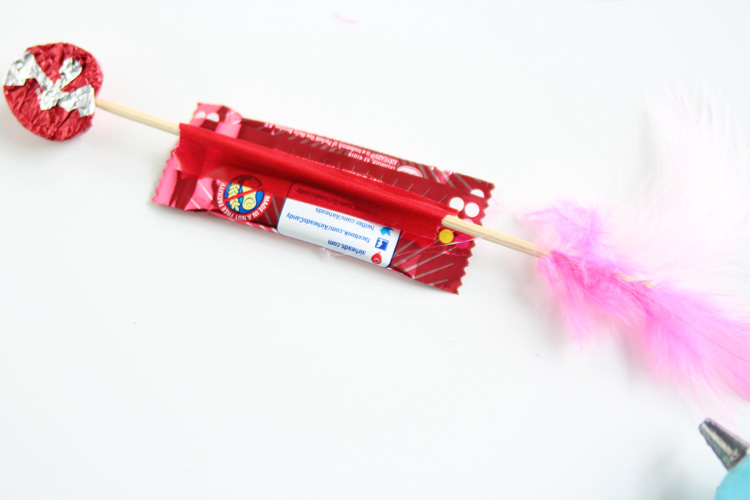 Just have fun with it and let the kids help choose what they want to go on their candy arrows! Like I said previously, if you have a hard time finding any of these specific candies, feel free to switch them out for something else! The first thing you will want to do is trim about 2-3 inches off of your wooden skewer. Next, push the pointy end into a heart shaped chocolate. 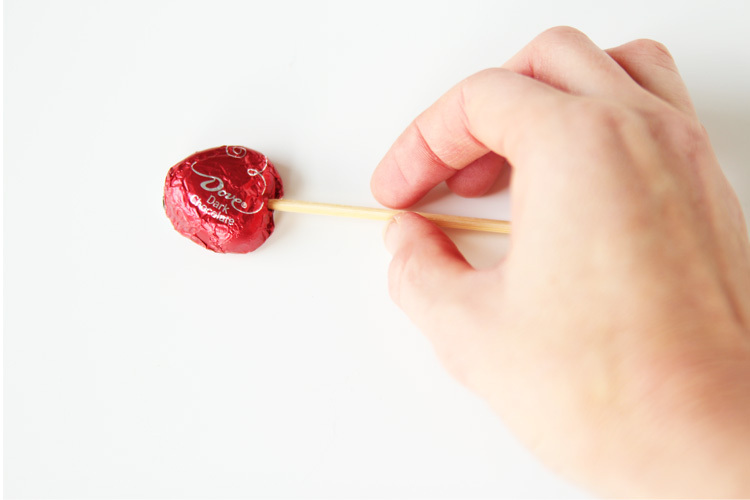 It barely needs to go in – just enough so that it won’t fall off the skewer. If you push it in too far, the candy may break in half. 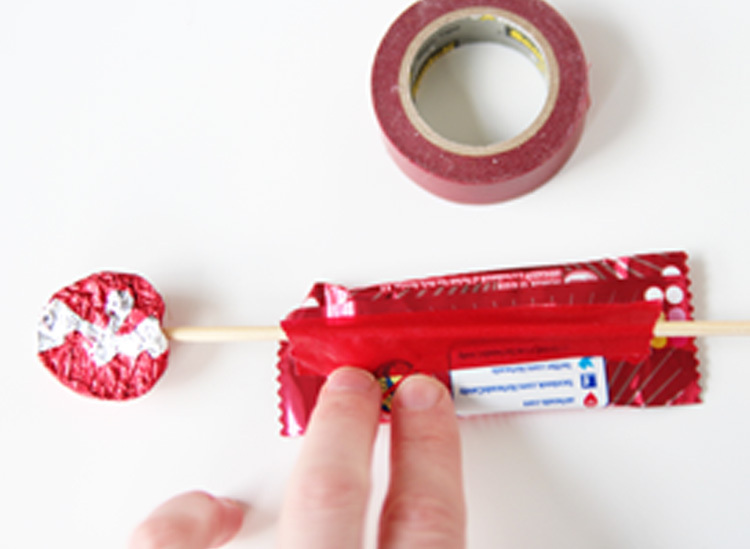 Take some washi tape and attach the rectangular candy onto the center of the skewer. Flip it over and glue another one on the back. And that’s it! You have a cute candy arrow. 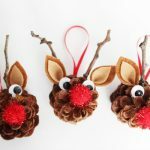 Make a bunch to pass out! They take no time at all. 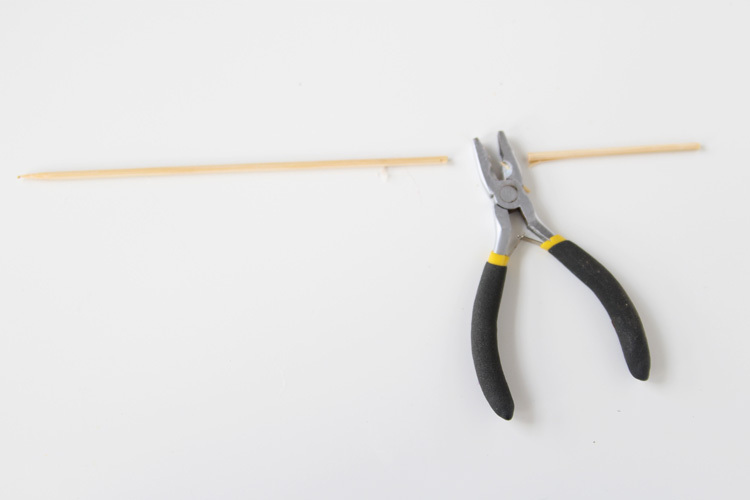 The first thing you will want to do is trim about 2-3 inches off of your wooden skewer. Next, push the pointy end into a heart shaped chocolate. 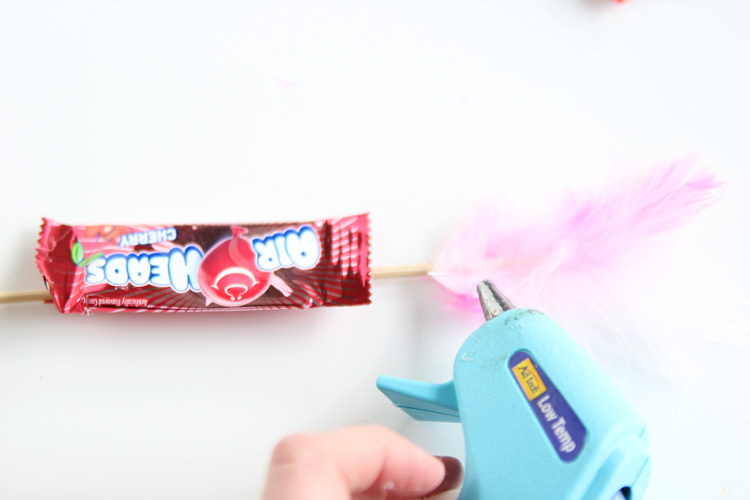 Now grab your glue gun and glue a feather to front of the skewer, on the end. 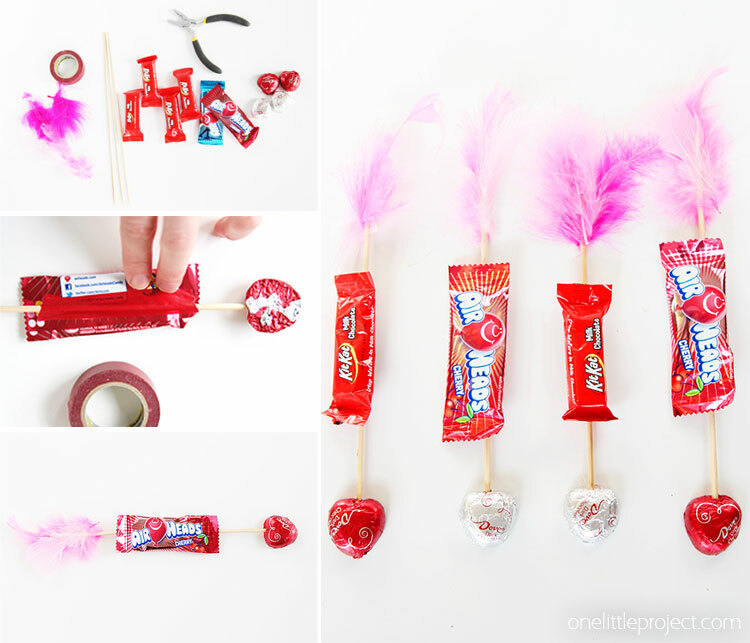 I hope Valentine’s Day doesn’t sneak up on you this year like it normally does for me and that you have plenty of time to whip up these adorable and easy candy arrows! Your kids will thank you for it! 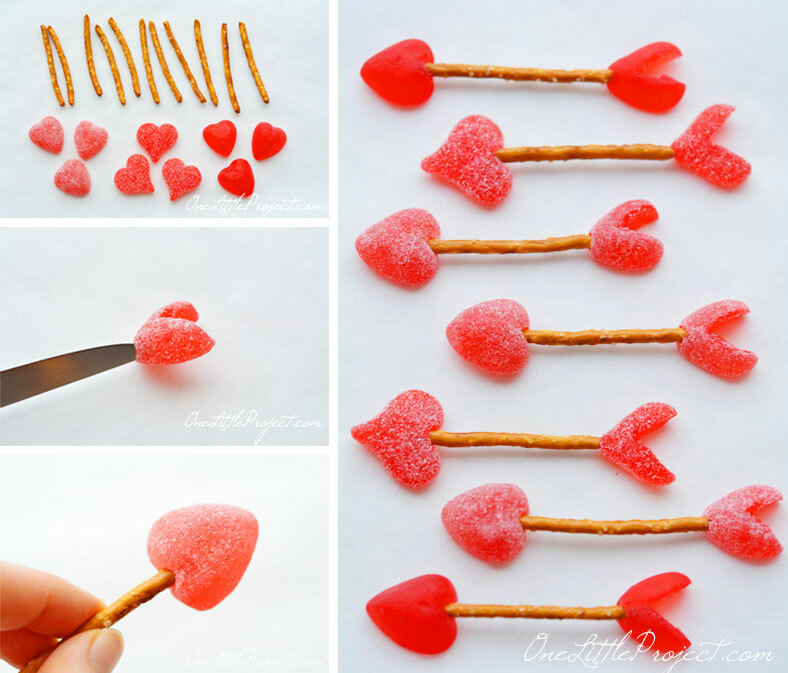 If you’re looking for more fun Cupid’s Arrow ideas, check out our super simple Pretzel and Gumdrop Cupid’s Arrows. 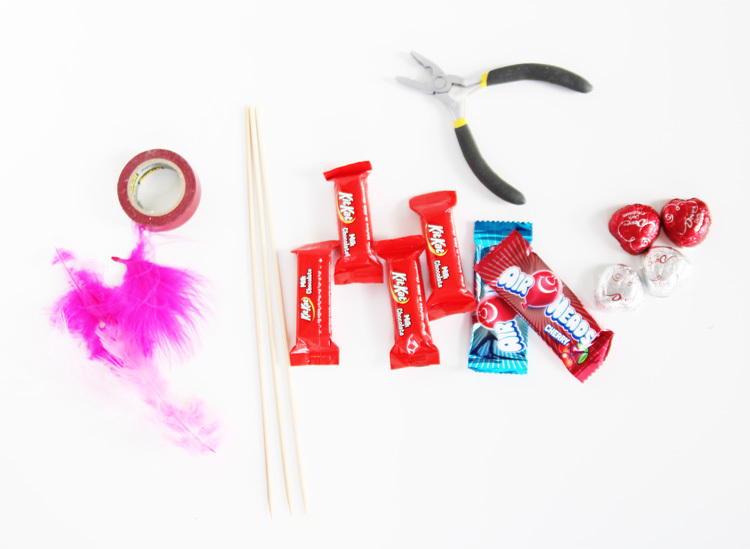 These are so simple to put together and make such an adorable Valentine’s Day party treat!